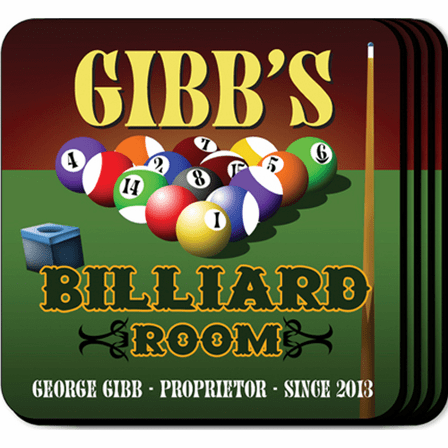 FEATURES/SPECS This billiards theme set of four drink coasters will be the perfect addition to your game room. 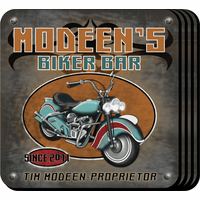 You'll keep your man cave table tops in tip top condition! 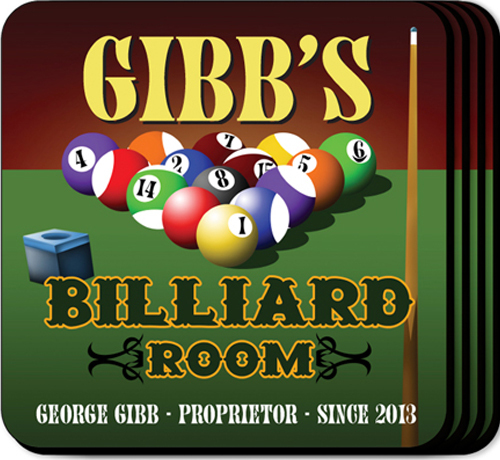 Each coaster features a set of pool balls and a cue on top of a green felt pool table. 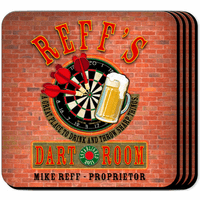 List yourself, or the lucky gift recipient, as the proprietor of this billiards room. Top off the personalization with a last name at the top and a year of establishment. 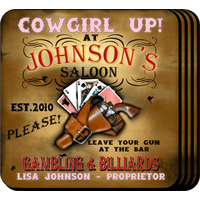 This personalized set of coasters comes complete with a wood base to hold all four pieces. Comes printed with the words "Quit Talking and Start Chalking"